Robyn 'Rihanna' Fenty and Sonita Alexander. 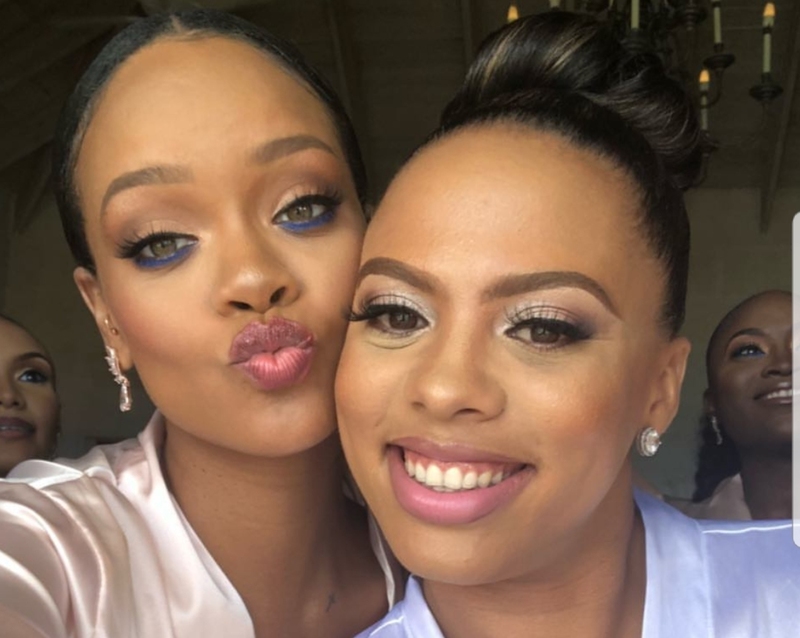 Robyn 'Rihanna' Fenty may not have shut Grand Kadooment down for Crop Over 2018, but she definitely showed up for one of her best friends Sonita. "When yo BFF @sonitalex decides to come back from "push up bra fitting" just in time for a @savagexfenty photobomb"
Now, Rihanna is on island to watch Sonita say her wedding vows. Rihanna posted two snaps to her Instgram story. 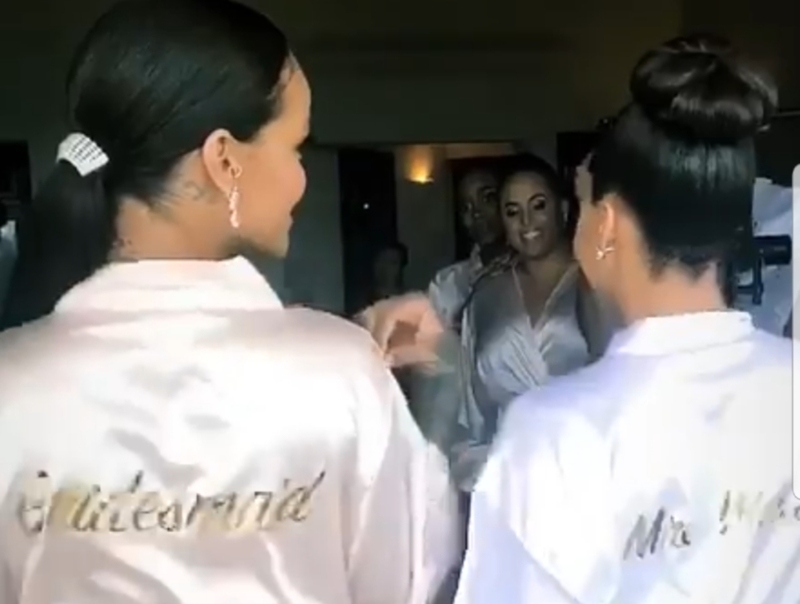 The first snap showed Rihanna in a bridesmaid silk robe shimmying next to Sonita in a matching silk 'Mrs. Walker' robe. It was captioned "#walkingintoforever". 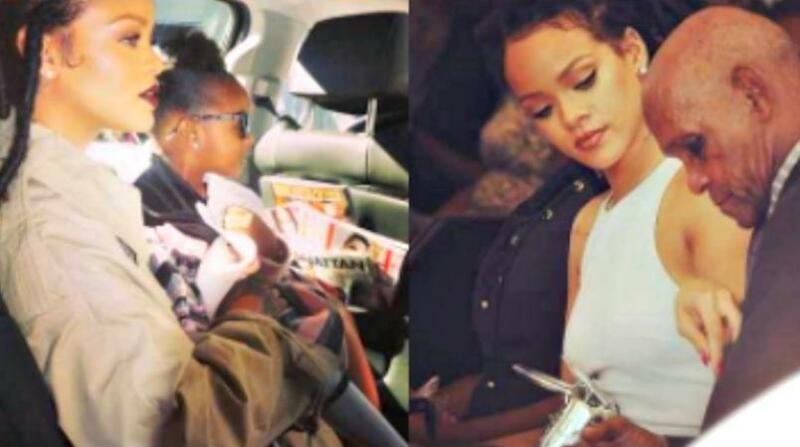 In the second snap, Rihanna and Sonita side by side, with Rihanna making a kissy face and Sonita smiling brightly. 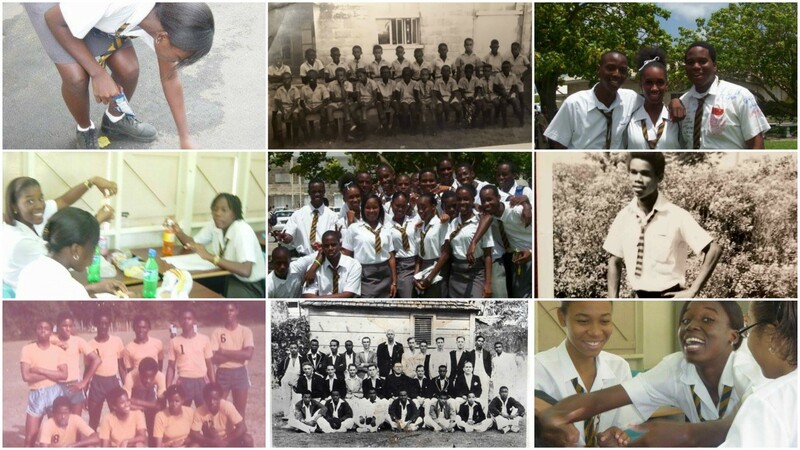 Rihanna and Sonita attended The Combermere School in Barbados together. Three days ago, Sonita posted photos from her bridal shower with a caption saying "Happy!". The hashtag for the nuptials is #walkingintoforever as she marries Raymond Walker. 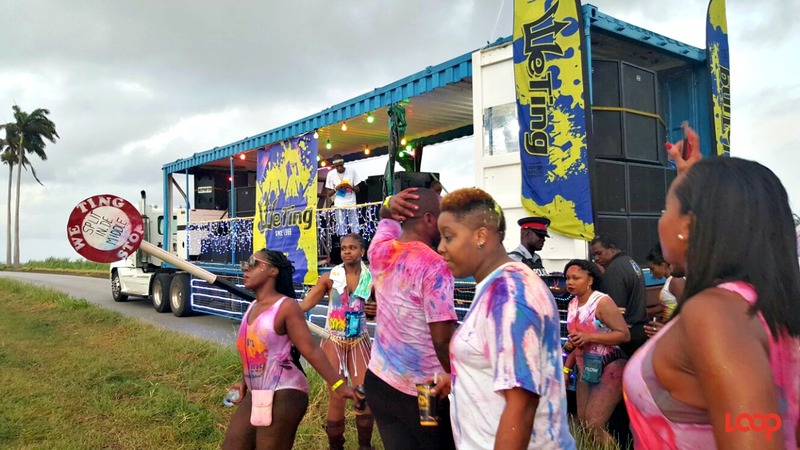 Sonita is a Family Physician by profession, but many also know her from the more fun, promoter side of life, as a part of event committees such as WeTing and Sundown.